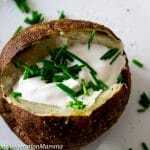 Air Fryer Baked Potatoes - Perfect every time! 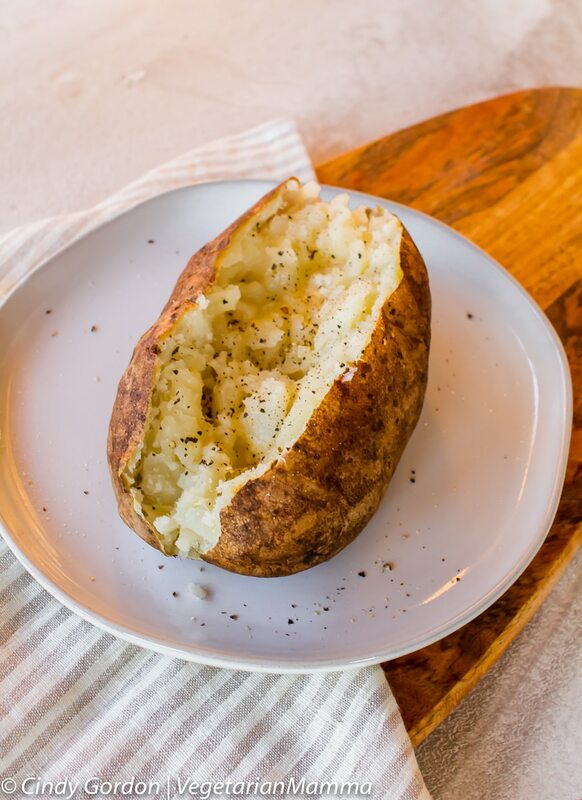 This Air Fryer Baked Potato recipe is a simple, yet quick and easy way to prepare your baked potatoes. No need to heat your oven for this job, the air fryer can do it. You will fall in love with these air fried baked potatoes. Needless to say, I was pretty excited when my mom got our family an air fryer (affiliate ad link) for Christmas. I must have been on Santa’s good list that year for sure! It was something I had been wanting to experiment with ever since I’d first heard about it. For me, my love began with these air fryer potatoes. I couldn’t believe how uniform my power air fryer xl cooked them. 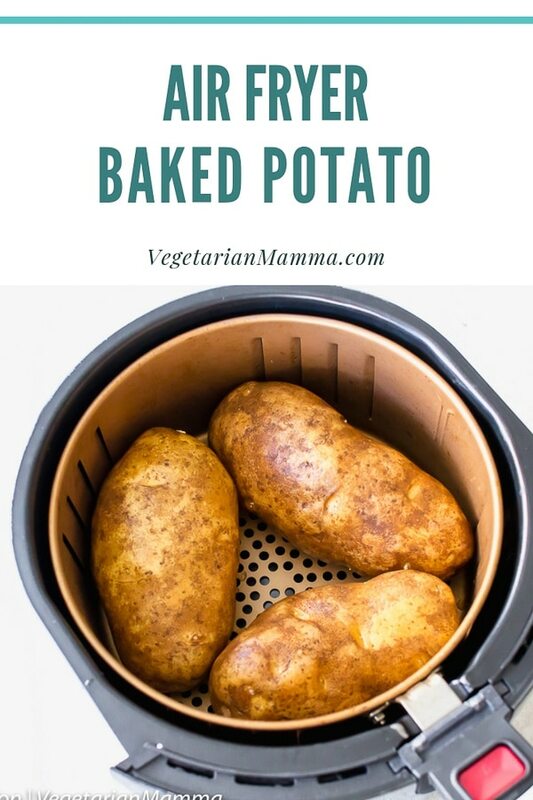 Baked potatoes in an air fryer? Who knew, I’d be such a fan of air fryer baked potatoes! Spoiler alert, I am going to tell you right now how to make air fried baked potatoes! Then you can read on if you’d like to learn more about air fryers and tips! If not you can scroll down to see the full recipe! Gently poke holes into the potatoes using a fork. Rub outsides of potatoes with oil and sprinkle salt and pepper onto potatoes. Put potatoes into air fryer basket. Cook at 390 degrees F for 35-40 minutes. The options of what you can cook in this amazing appliance are truly endless! Besides air fryer baked potatoes, we have cooked tofu, potatoes, french fries, Brussel sprouts and more! 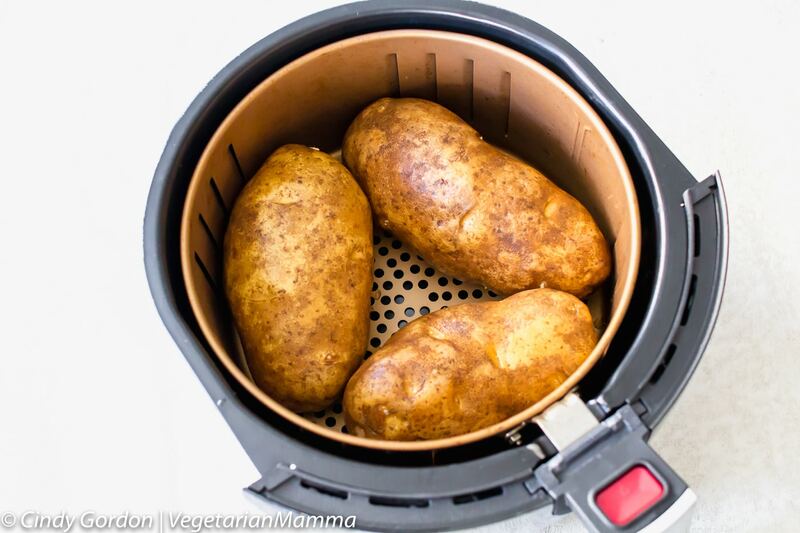 Anything that your taste buds want to try straight out of the air fryer, give it a go! But one of my most favorite food items to make in the air fryer? Baked Potatoes. There is just something about a perfectly cooked baked potato with all the toppings that makes me and my tummy very happy. And not to mention, they make the perfect side dish. Truth be told, baked potatoes don’t have to be the side dish alone. If you add some delicious and amazing toppings to them, they can easily become the main meal that will steal the show. This is where you can really have some fun with your taste buds. You can have a spicy potato or one that’s a little sweeter. Whatever your heart desires, just add those spices on the outside of the skin. 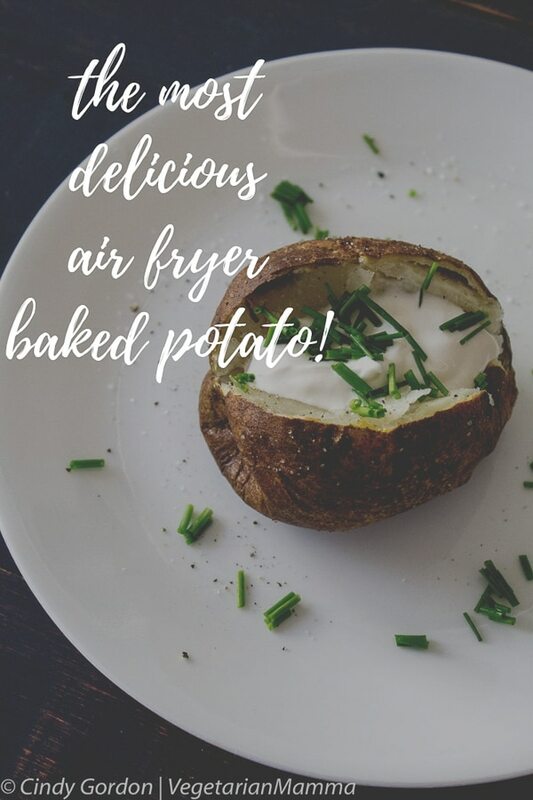 And if you do like to eat the skins of the air fryer baked potatoes, I can assure you that the skins come out crisp and delicious from the air fryer. Crispy goodness! If you’ve never tried eating potato skins before, these may be the perfect potato skins for you to try. They seriously are cooked perfectly in the air fryer. 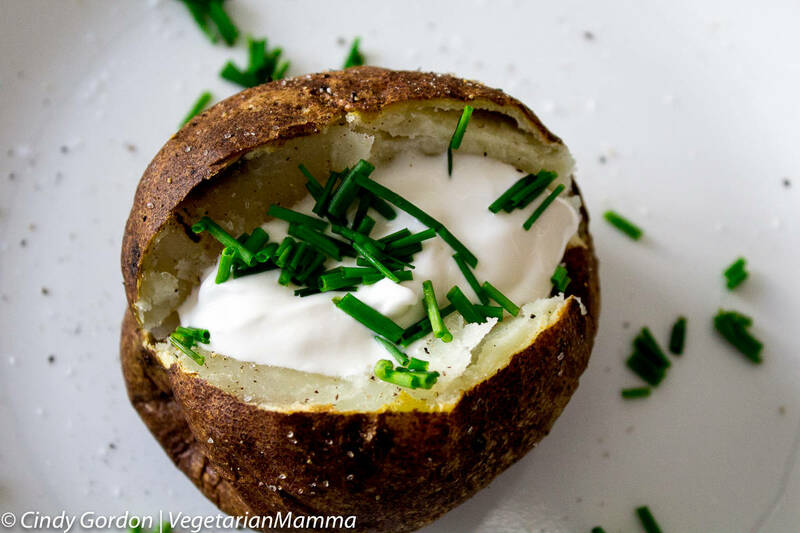 Fair warning that you might get addicted after trying these Air Fryer Baked Potatoes! Baked Potatoes make the perfect side dish. Or if you want a main you can easily dress up the potato with mushrooms, beans and more! What if I only have two potatoes? Whether you have 1,2,3 or 4 potatoes, you do not need to adjust the cook time! Do I need to poke holes in the potato? I do, I think it helps, but I am not 100% sure it’s necessary. But I’d go with poking some holes! Just use your fork, that makes it easier! Do I need to flip during cook time? I try to flip the potatoes 1 time during cooking. You don’t need to flip more than that. 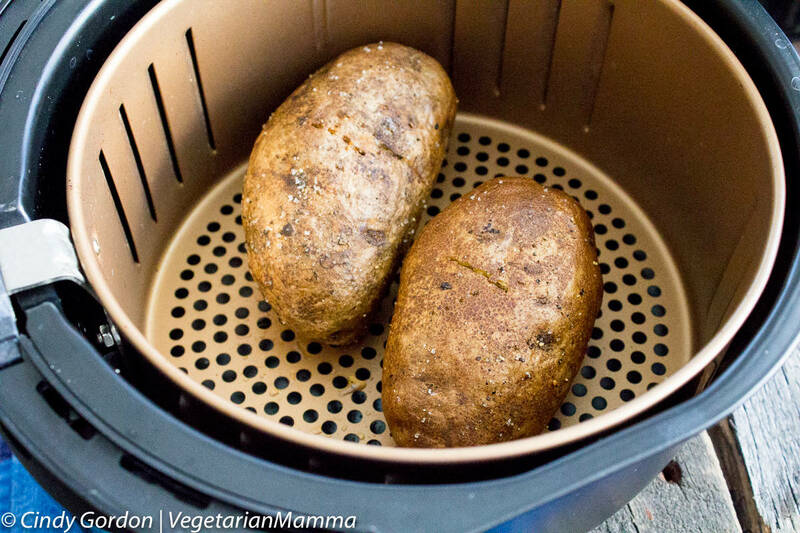 What toppings do you like on your air fryer baked potato? 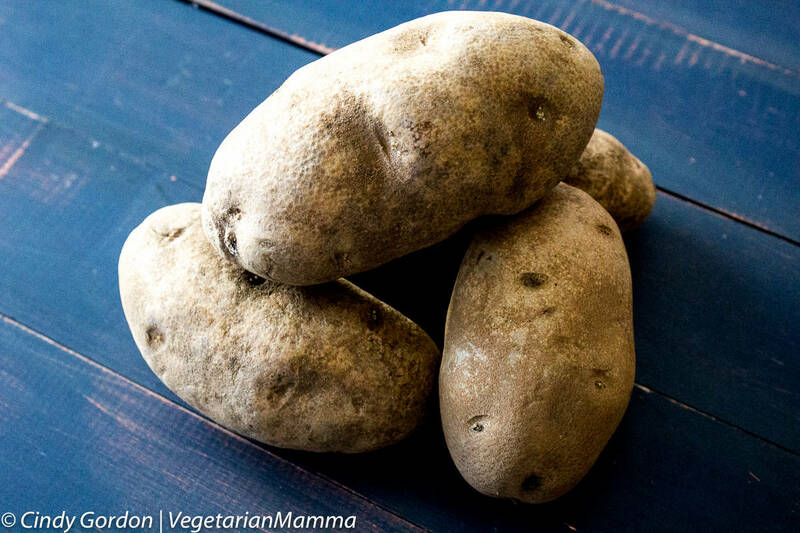 For me, I love anything vegetable as a hearty topping to my air fryer baked potato. Mushrooms, broccoli, and onions are just a few of my favorite. Is there ever a wrong way to load up your potato? My answer is no. 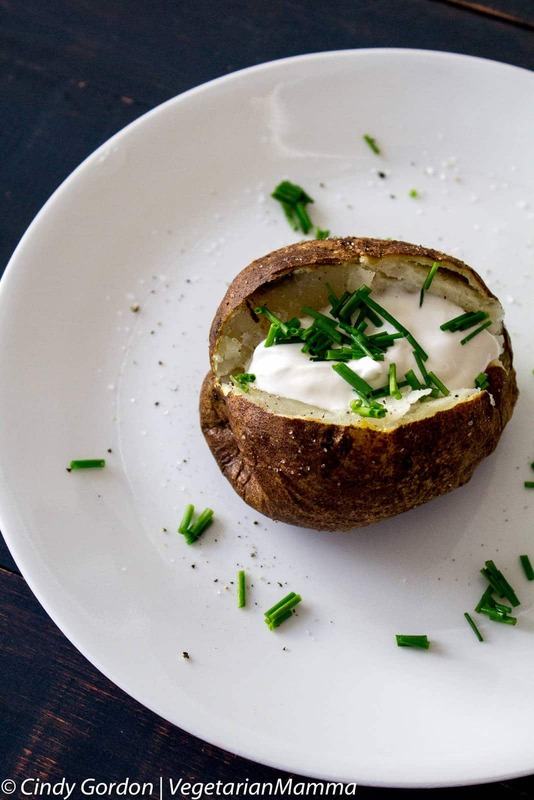 While one of the reasons that I love cooking baked potatoes is because they are super simple and easy, I also love cooking them because the prep time is minimal. Like, mere minutes minimal. Before I do anything, I always start by scrubbing off and washing the potatoes. I’m a huge fan of eating the potato skins, so having them clean is a must! If you don’t prefer to eat the skins, your next step would be to peel those skins off. After that potato is sparkly clean, poke some holes in it so that the heat and air can escape. (If you don’t poke holes in your potato, they have been known to build up pressure and sometimes explore. That’s a mess you DO NOT want to have to clean up! ) I love to run olive oil all over the outside as well and then cover with my favorite spices. More Air Fryer 101 Information! 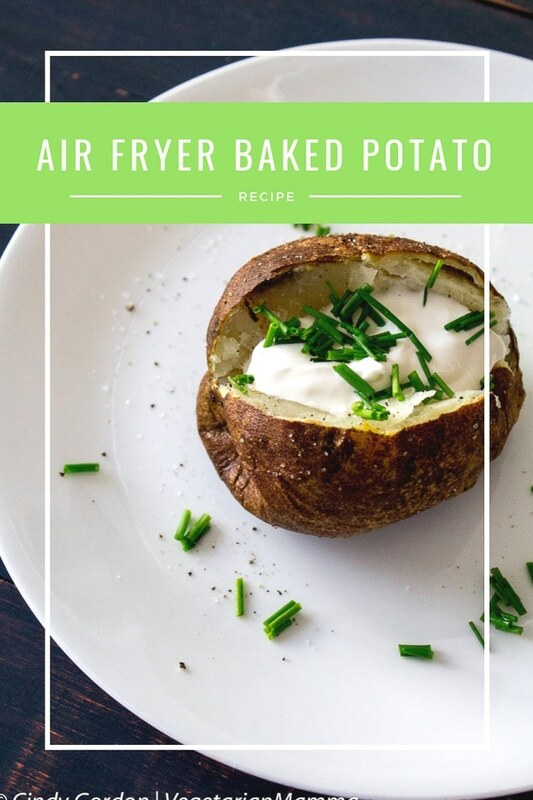 This Air Fryer Baked Potato recipe is a simple, yet quick and easy way to prepare your baked potatoes. No need to heat your oven for this job, the air fryer can do it. You will fall in love with this air fried baked potato. 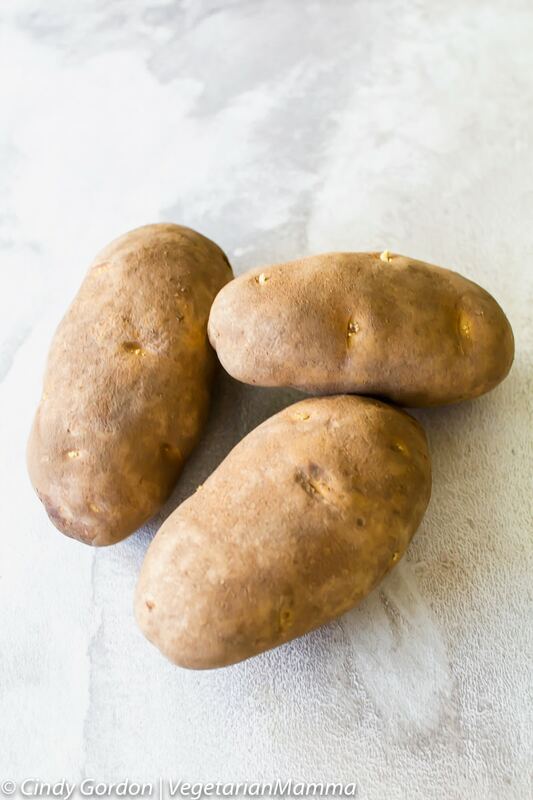 Cooking times will vary depending on the size of the potato, you may need to add more time for larger sized potatoes. You can test the doneness of the potato by inserting a knife or fork into the potato. Whether you have 1,2,3 or 4 potatoes, you do not need to adjust the cook time! However, if the potatoes are quite large, you may need to add time. Use a fork to pork a few holes in your potato. 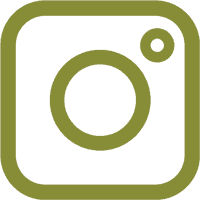 This post does contain an affiliate link to amazon for an air fryer. Let’s talk! 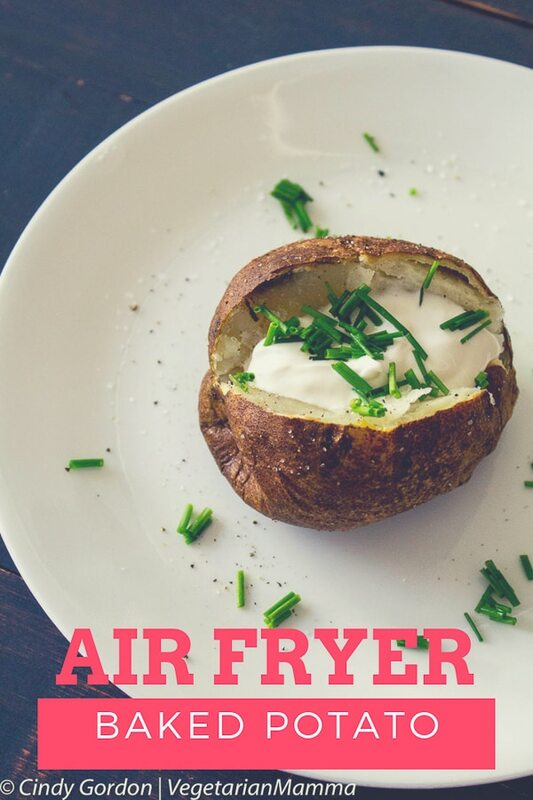 Leave me a comment telling me if you have tried using an Air Fryer? What did you cook? Or what do you think you’d cook first? I have yet to try a potato in my airfryer, now I must! This looks so good. I love my airfryer, I am learning so much about it and all that I can do with it. Now that is the way to bake a potato! I would love to make these one night. We love baked potatoes and it’s our favorite to pair with grilled steak. We haven’t tried preparing it using an air fryer though. Thanks for the idea. Om nom nom????. I’ve made it! Sooooo delicious. The potatoes cooked evenly. The outer layer was crispy & the inside was soft. And it only took 35 minutes to cook. Using my air fryer for the first time and making these potatoes. They turned out great. I was wondering when you do your brussel sprouts do you use fresh or frozen? One thing I guess you cam’t do on this site is go to a mother site to see something in middle of writing a comment! Mine was gone when I got back! I moved to Florida, actually stayed here the whole summer of 2018! way too hot to run oven inside, too hot to use grill outside! S just about everything that I ate was cooked in my air fryer Have done potatoes with and without oiled skins. I am running around carrying my fork. Potatoes are done bone in rib eye steak I just flipped and second side is cooking. I’m only a family of one in Florida, hoping I will make it back to NH for part of next summer as my 4 ! !children, 4 and 9 grandchildren are all in NH! Even with just me I am already starting to outgrow my air fryer! I want one of the 5+ quart one!!! I may not even belong commenting to this group, as I am underweight, still slightly under a 100. If you are cooking something in the fryer, don’t set timer for 10 minutes telling yourself you’ll check it after 5 minuets then go trying to comment in a group. That is why my steak had very little pink..
Oh bummer, sorry that your comment was started then it was gone when you came back! 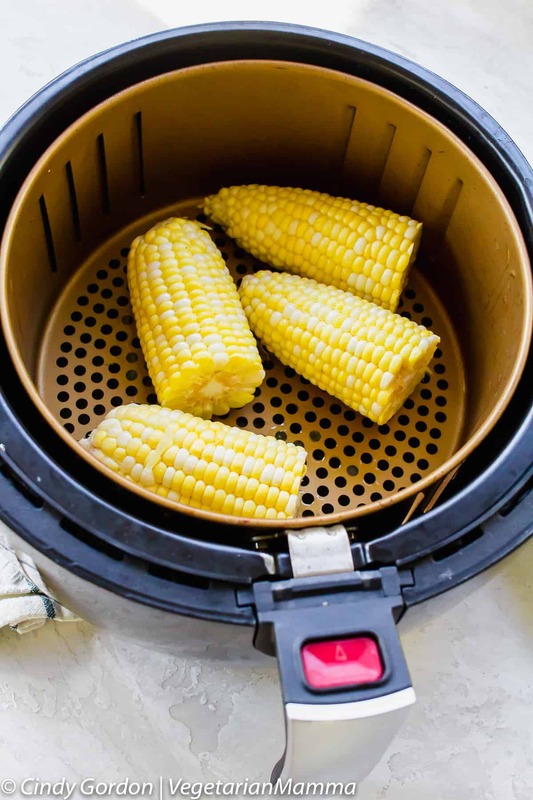 So glad that you have done so many things with your air fryer and you love it! Thank you so much for the helpful hint! It is much appreciated! Come back and visit anytime! 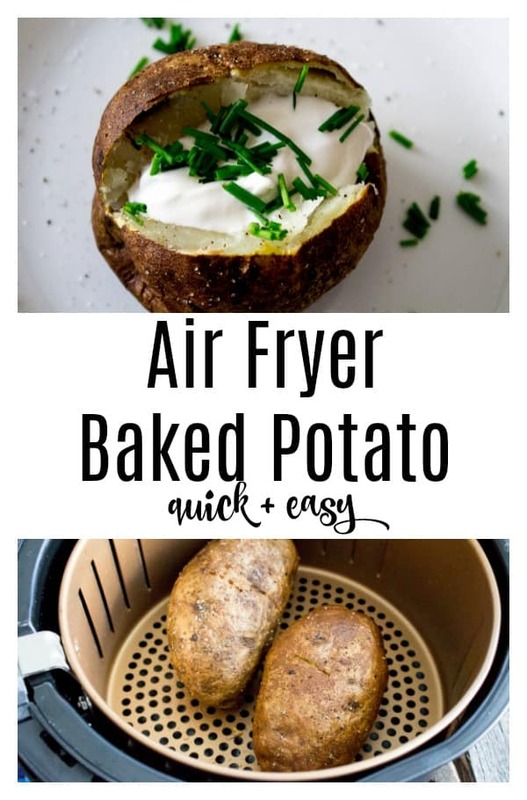 This is a great way to make a potato!I love our air fryer, and will have to make these soon! I have been wanting an air fryer for a long time. 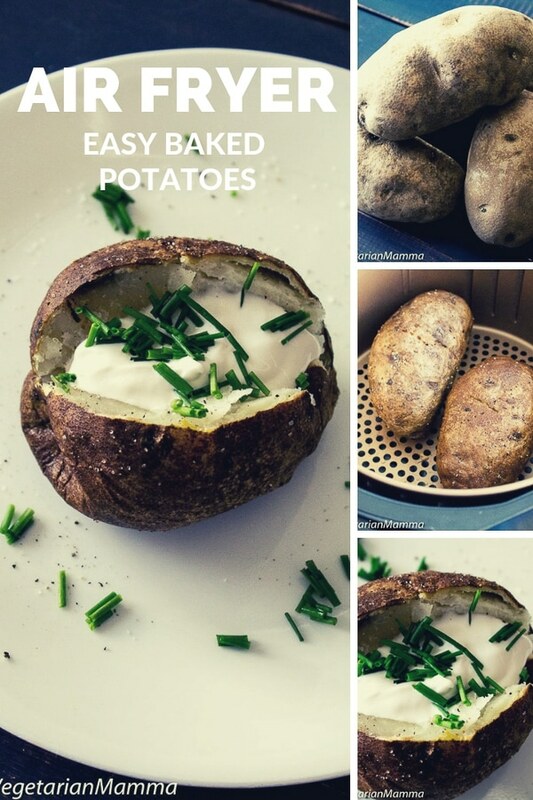 I had no idea you could even make a baked potato! It is pretty amazing, you can literally cook anything in it! I am in desperate need of an air fryer because everything you can cook in it. The baked potatoes turned out well. Thank you so much! Yes, it is a great addition to our kitchen! This looks so good!!! We have such a small (city apartment) kitchen I haven’t had the luxury of extra appliances like an air fryer but man, I want one!! We’re hoping to move to the burbs soon and the top of my to-buy list are air fryer, instapot, and coffee maker!!! 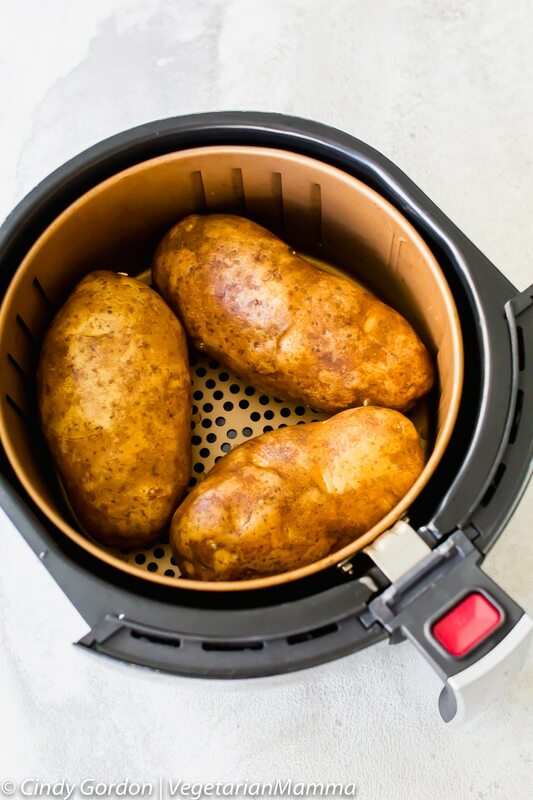 I had no idea you could make baked potatoes in an air fryer. What a great idea, especially since it seems to take less time and it looks like they cook evenly. I read that air fryer is a huge help, I just it would fit me even I dont actually cook. This recipe ia also good to paired with frilled meat, and wine! Air fryers are great! They make life in the kitchen so much easier! If you are not a huge cooker this would help! I want to try this soon! Looks so delicious. pinned. 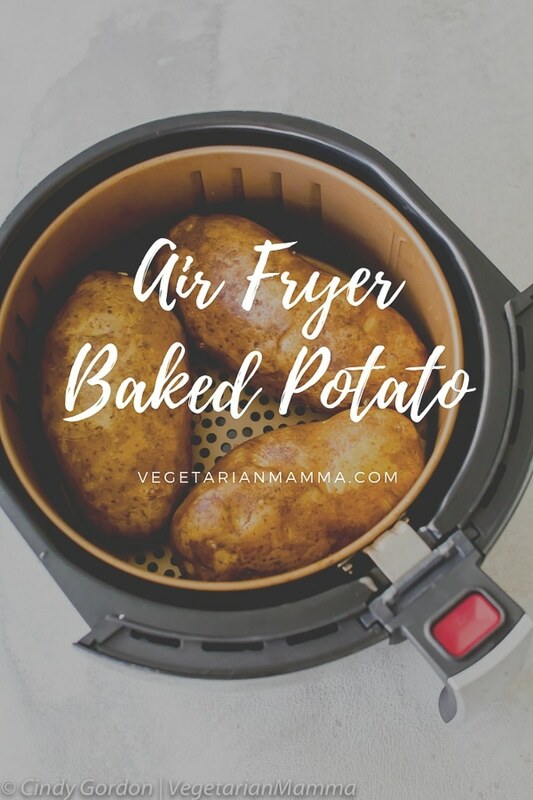 I absolutely love everything that I can do in my air fryer! I’ll have to give the baked potato a try in there. Thanks for sharing! Love a good baked potato!! Think I’ll have to look into an air fryer. I have a pantry now so plenty of storage for extra kitchen gadgets!! Great! I love baked potatoes too! I have always wanted to get air fryer as it does not need oil to fry stuff. I hope this is so much healthier than the usual deep fried stuff but equally delicious. Yes, you certainly use a lot less oil, which is a big bonus for me! Oh my goodness what a genius idea! My go to meal on busy nights is a potato bar and this would make it even better … thanks for sharing! I love potatoes in all forms! I’ve never tried making them in the air fryer though! Sounds yummy! I just have a question. Is a Della Air Fryer a good one? There’s just two of us so I don’t need a big one.